It’s hard to think of a big business that has had a worse six-year run than Bank of America. In 2008, it purchased Countrywide and Merrill Lynch, thus becoming a major player in housing and investment banking just as the real-estate bubble collapsed and the country tipped into the worst financial crisis since the Great Depression. Today, the Department of Justice announced that it has reached a whopping $16.65 billion civil settlement related to the bank’s mortgage shenanigans. In short, BofA struggled to mop up the messes it bought from Countrywide and Merrill, and made a whole host of new ones as the housing market cratered — including encouraging its employees to foreclose and lying to distressed homeowners. No wonder it ranked dead last in a recent poll of the public reputations of 50 big firms, placing it below Monsanto, Goldman Sachs, BP, and even Halliburton. But maybe, just maybe, the company has turned a page. The improving economy has let it expand its lending portfolio and cut its losses. And with the $17 billion settlement — the largest settlement between the government and a single company in American history — the biggest of its legal fights looks to be over, even though those payments might weigh on its books in the near term and it still has a number of outstanding legal problems. And it has been costly. 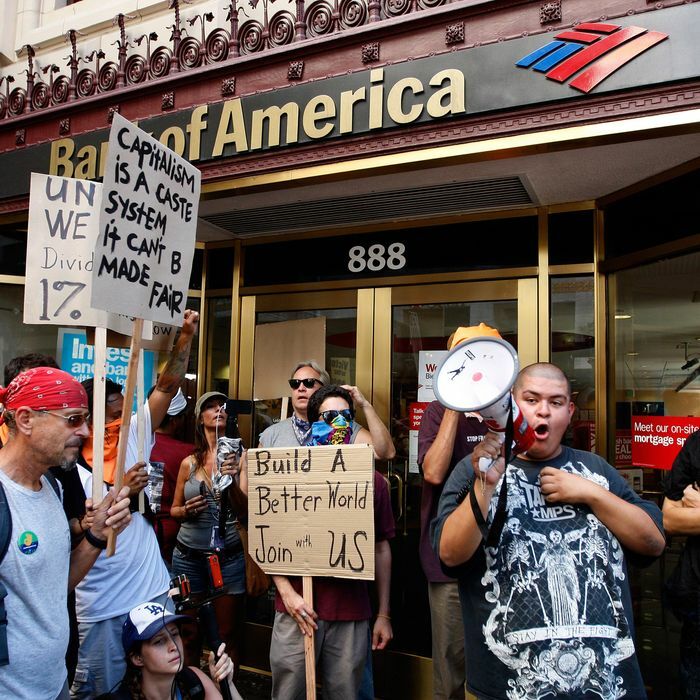 The settlement brings BofA’s total bill for its mortgage-related shenanigans to nearly $70 billion. How much did it pay for Countrywide, the font of most of these troubles, back in 2008? $2.5 billion.